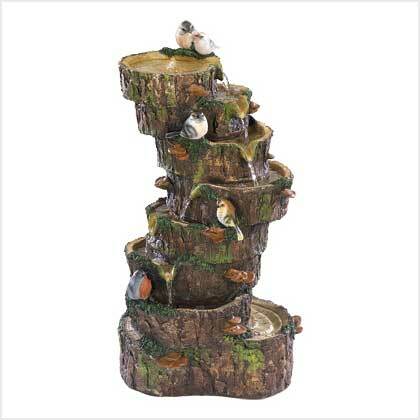 This enchanting sculptural fountain is a wildlife-lover's delight! A bevy of plump colorful forest birds look on as crystal-clear waters cascade down a stack of moss-covered logs, delighting the eye and lending music to the ear. Indoors or out, this darling decoration brings wonderful woodsy appeal to your personal space! Polyresin. 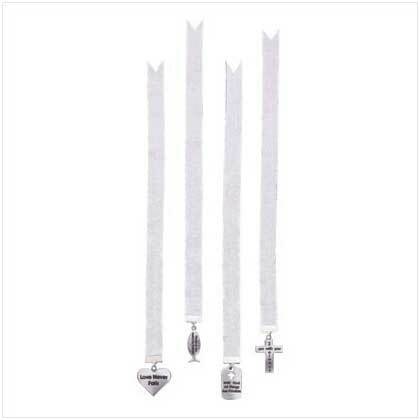 UL recognized cord. May require additional freight charge. Polyresin. 16" x 14 1/2" x 26 1/2" high. Retail Price: $199.95.